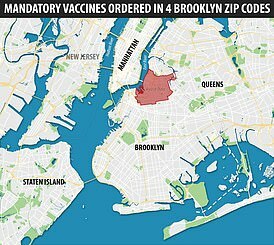 They say vaccines go against their religious belief that they should not put a foreign body in their or their child’s body, and they believe de Blasio’s order unfairly targeted Jews. All of the mothers cite scripture to defend their beliefs that they should not put foreign bodies in their child’s bodies. ‘What is happening right now in Brooklyn neighbor hoods is an absolute witch hunt. 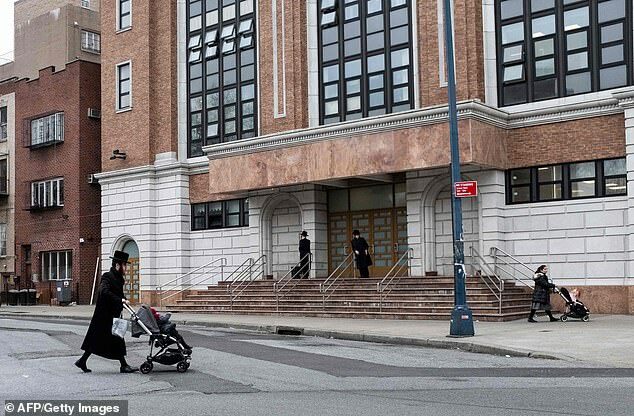 Members of the Jewish community are being publicly castigated and talked about in the most anti-semitic ways I could possibly imagine,’ the mother, identified only as A.L., writes. Each of the mothers pointed to the fact that immunity from the MMR shot wanes over time, many adults are behind on their top-ups, and that de Blasio appeared to admit that he is due a booster shot. (When asked if he’d had the MMR at last week’s press conference, de Blasio said, ‘long ago…’).